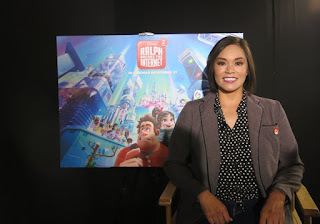 Filipino audiences connected and shared their love for Disney’s “Ralph Breaks the Internet: Wreck-It Ralph 2” as the delightful sequel opened at No.1 on its first day of release in the Philippines Nov. 21, beating the week’s other major studio films. Earning over 130,000 USD on Day One, “Ralph Breaks the Internet” posted the sixth biggest first day gross for a Disney animation title, performing impressively as it heads for a sensational five-day opening weekend. 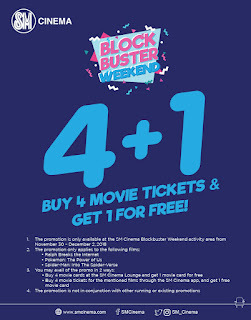 SM Cinema opened its newest movie hub at SM Center Ormoc. Equipped with the latest state-of-the-art technology and additional 390 seats, SM Cinema Ormoc has three (3) sound surround digital cinemas with end to end screens and comfortable seats. SM Cinema Ormoc also launched the very first Director’s Club in the region making it the only premiere cinema movie hub in Eastern Visayas. Director’s Club Cinema is complete with 40 full electronic reclining plush seats and personal butlers to give viewers the most relaxed, comfortable, and premium movie experience. Manila Wrestling Federation - the hottest and fastest-rising live entertainment spectacle in Metro Manila - continues its unique blend of athleticism and "AksyoNovela" storytelling into its special holiday presentation, "MWF 6: Noche Buena", to be held at the UP Bahay ng Alumni, Diliman, Quezon City on December 1, Saturday. Gates open at 5:00 pm. Offering more of its ever so highly entertaining and action-packed brand in the jolliest month and closing their first official year with exciting matches and fun-filled stories, MWF shares the gift of awesome wrestling that will have you wanting to be Nice instead of Naughty in Santa’s list. The Federation’s resident hypebeast Khayl Sison, who is quickly becoming one of Philippine entertainment’s most naughtiest hated villain, has issued an open challenge to anyone who wants to try taking him down. Who will step up to the plate? 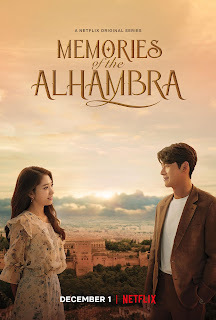 Netflix Releases "Memories Of The Alhambra" Trailer And "Hymn Of Death"
Memories of the Alhambra builds on a story where an investment company CEO travels to Granada, Spain on a business trip and accidentally stays the night in a cheap hostel owned by a former guitarist. The two fall into various strange situations as they find new mysteries. It has also announced that it will be launching Hymn of Death, a tragic love story K-drama. 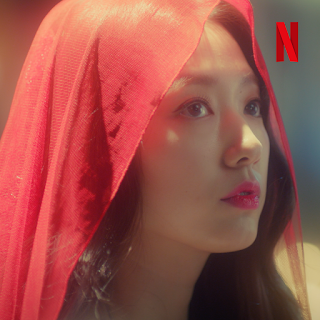 Hymn of Death is a 3-part series that tells a story about Korea’s first soprano Yun Sim-deok and her genius playwright boyfriend Kim Woo-jin. 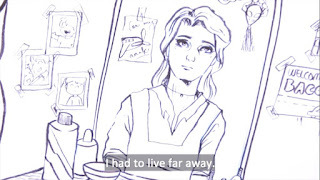 Loved by a wide audience, the beautiful yet tragic love story has been recreated in various formats including films, plays, and musicals throughout the years. 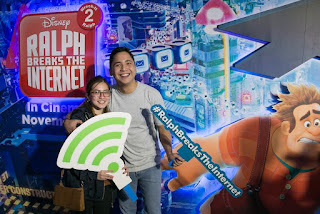 As the public enter the event area, they can check Wreck-It-Ralph inspired exhibits such as Vanellope’s Sugar Rush World, Mr. Litwak’s Arcade and Ralph Breaks the Internet: Wreck-it-Ralph 2 360 Photobooth. They can also experience the world of Spider-Man at the Upside Down Room and become a real-life Pokemon trainer through the mini-Pokemon Center. 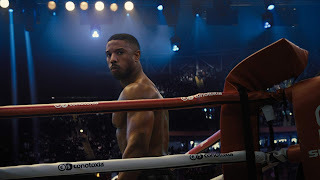 Michael B. Jordan: On Family, Fatherhood and the Fight of His Life in "Creed II"
The Filipino Channel’s (TFC) digital series Lines and Letters is nominated at the 23rd Asian Television Awards under the Best Digital Non-Fiction Programme Series category. Asian Television Awards Asian Television Awards is an award-giving body in Asia which recognizes excellence in programming, production and performance. For over a decade now, ATA has showcased and gave recognition to quality television productions within Asia. Christmas is less than 100 days away and if you’re running a business, the biggest shopping period is a must-win time of the year. Since Filipinos start celebrating Christmas as early as September, searches for gifts and Christmas-related items continue to spike. The opportunities to engage customers online are plenty, but are you winning them over? Drawing from its experiences shipping volumes of holiday packages, DHL Express wraps up and delivers some useful hacks from DHL Discover, a free library on helping businesses succeed and grow. Here are top recommendations to help you up your e-commerce game---from online shopping all the way to check-out. 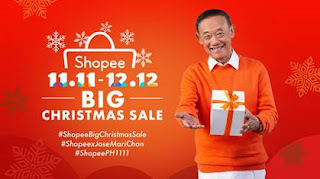 Fresh off the excitement from the Shopee 11.11 Big Christmas Sale, Shopee, the leading e-commerce platform in Southeast Asia and Taiwan, celebrates the final wave of Shopee 11.11 - 12.12 Big Christmas Sale. 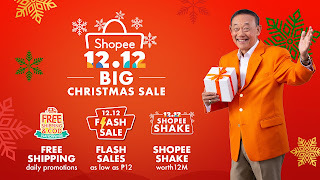 Starting November 26, users can shop the Shopee 12.12 Big Christmas Sale featuring 16 themed sale days in the lead up to December 12, with daily free shipping promotions, flash sales as low as ₱12, and Shopee Shake worth 12 million. Shopee will also be launching a brand new in-app game, Shopee Quiz. A distressing design of cardboard roofs and plywood floors hunched and cramped beneath the majestic backdrop of San Francisco’s glossy high-rise apartments, sparkling condominiums, and million-dollar homes is captured in BA’s documentary, Box City. It is also an encampment that many homeless in the community call home. Box City won 1st place, besting AJ+, in the TV/Video Documentary category of San Francisco Press Club’s 41st Annual Greater Bay Area Journalism Awards. The team behind Box City – Producer/Writer Henni Espinosa; Director of Photography Jeremiah Ysip; Cameraman Patrick Luna; Editor Jon Santos; and Graphic Designer Mike Carrion were awarded certificates of excellence for their notable work. 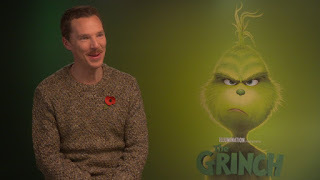 Benedict Cumberbatch Gives Humanity, Wickedness to "The Grinch"
Doctor Strange himself, Benedict Cumberbatch gives a distinctive version of the titular character that has a lot of humanity but also finds the comedic, wicked side, in Universal Pictures and Illumination’s new comedy adventure The Grinch. 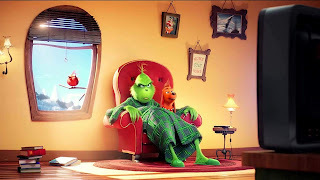 Cumberbatch’s Grinch is more mischievous than cruel, more cranky than merely mean. 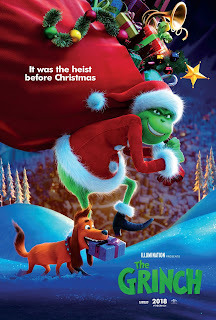 His motivation in stealing Christmas isn’t to punish the Whos, but to simply make all the Christmas madness stop so that he doesn’t have to deal with it. JCI Manila And Gold Seas Tuna Chunks Pave The Way To "The Sea Of Life Museum"
With the worldwide crisis of environmental issue prevailing in many communities, I guess we do need to hear some good news about people who have been pushing for preservation and propagation of the ecosystem. 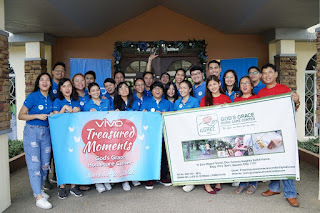 Partnering for a monumental task are JCI Manila and Gold Seas Tuna Chunks for the Sea of Life project which aims to produce artificial reefs that will help them grow under the sea. 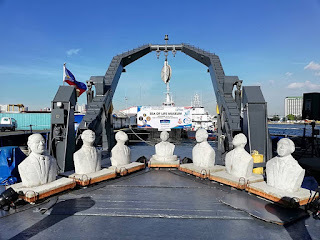 With the help of the Philippine Navy, the BRP Gregorio Velasquez or AGR 702, an impressive 279 feet long vessel with hydrographic survey and maritime research capabilities, will transport the sculptures to the installation site. From Pier 13 at Port Area, Manila, the AGR702, complete with a crew of mariners, will set off for the waters of Tingloy, Batangas. Business At Risk? Have Them Protected With Malayan! These days, setting up a business is a sound investment given the positive growth of the economy and increased consumer spending. 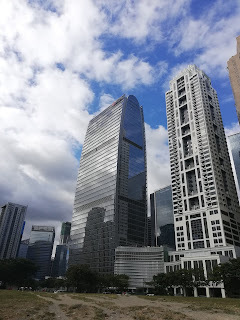 However it still has the challenges of competition, management, and market demand. Are You Ready For The Wedding Of The Year? 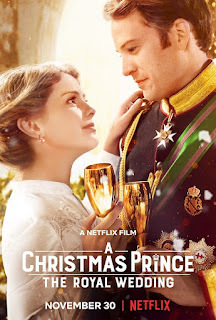 A year after Amber helped Richard secure the crown, the two are set to tie the knot in a royal Christmas wedding - but their plans are jeopardized when Amber finds herself second-guessing whether or not she's cut out to be queen, and Richard is faced with a political crisis that threatens to tarnish not only the holiday season but the future of the kingdom. "The Crown's" Claire Foy Breathes New Life Into Lisbeth Salander in "The Girl in the Spider's Web"
The Final Pitch, the Philippines’ first business reality TV show which airs on CNN Philippines, is set to return for its third season--linking promising entrepreneurs with multi-millionaire and billionaire investors looking to forge the next exciting business deals. “Based on the success of our two previous seasons, we’ve proven how the combination of the right business models and talented entrepreneurs can attract angel funding from even the most traditional businessmen in the Philippines. This motivated us to create a bigger, better season that will help bridge the gap in mentorship and funding that startups face. Our goal is to connect them to the right people, get them funded, and help them scale to eventually become successful contributors to nation building,” shares the show’s creator and host, serial entrepreneur and TV producer John Aguilar. 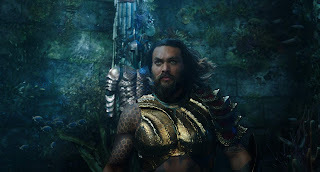 Go behind the scenes with the cast of “Aquaman” now as Warner Bros. Pictures releases an inside-look of its upcoming action adventure from director James Wan and starring Jason Momoa. Check out the video below and watch “Aquaman” in Philippine cinemas December 12. Columbia Pictures celebrates the box office prowess and creative energy of rising director Fede Alvarez by choosing him to bring to the screen the new Lisbeth Salander thriller, The Girl in the Spider’s Web. The studio identified Alvarez as a striking new filmmaking talent with right sensibilities for the project, as evidence by Alvarez’s 2013 remake of the horror classic Evil Dead and his original 2016 thriller Don’t Breathe. With the producers’ deep understanding of the material, Alvarez’s ambition to keep pushing the boundaries of genre movies, and the studio’s desire to continue working with a director who had become part of the studio’s family, it only seemed natural to bring Alvarez into the world of The Girl in the Spider’s Web. Business possibilities are endless for Filipino entrepreneurs who can go beyond local and be global. Global fintech company Payoneer is holding “The Payoneer Forum Manila: Go Beyond and Expand Globally,” an empowering forum for online outsourcing agencies, SME BPOs, online professionals and digital entrepreneurs, on December 1, 2018, Saturday, 9 a.m to 6 p.m., at the SM Aura SMX Convention Center, 8 McKinley Parkway, Taguig City. Dance to the beat of Mastermind at the Casino Filipino dance floor on November 24 (Manila Bay), November 28 (Malabon), November 29 (Ronquillo), and November 30 (Madison). 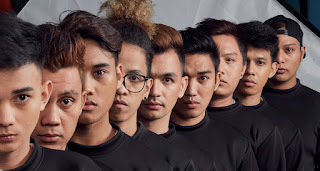 The YouTube dance crew Mastermind is composed of Kristian Vienn “Pao” Gonzales, David Inere, Rey Baylon, Bryan Carlo Abunda, Raymund Arago, Adam Noel Bagares, Dale Johnson Odicta, Jester Brozas, and Ericson Apelado. 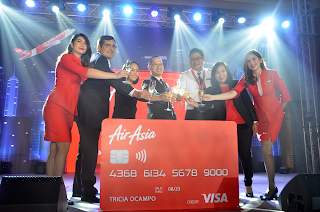 Prepare To Take Off With The New AirAsia Credit Card! Imagine this: The sound of waves crashing on the shore and the sunlight peeking through the window wake you up on a lazy Saturday morning. You slowly open your eyes, afraid that you’re just in the middle of a dream. But you’re not. You stand up as you feel the gentle sea breeze touch your face. You go out of the porch and look at the horizon. You take your time to enjoy the beauty of the blue skies and the deep sea. The yacht will be waiting for you whenever you’re ready, anyway. 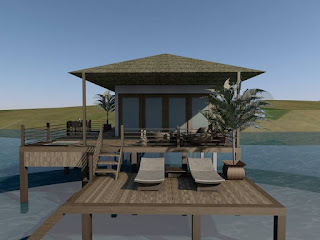 That’s the promise of Avara Nature and Yacht Club—the easy life of the seaside. Chibi DC Super Heroes Invade SM Megamall! As we get hyped with the upcoming Christmas season and the Aquaman movie this December it's time to get powerfully cute and astonishingly amazed with the Christmas Capers that have invaded SM Megamall. Our favorite superheroes have arrived at the events center of Mega A for an interactive set up of all things DC. 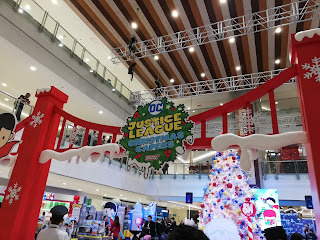 The DC Comics' Justice League Christmas Capers was launched at the Events Center near Toy Kingdom and the Foodcourt. It has a number of activities that kids and parents can join that will unleash the hero in them. It will also spark more love for the DC heroes as they also will make an appearance for a meet and greet session at certain dates. There is also a tall Christmas Tree in the middle where the family can take pictures bringing the yuletide feel. Globe Business, the corporate information and communications technology (ICT) arm of Globe Telecom, brings the much-awaited iPhone Xs and Xs Max to the Philippine enterprise market. 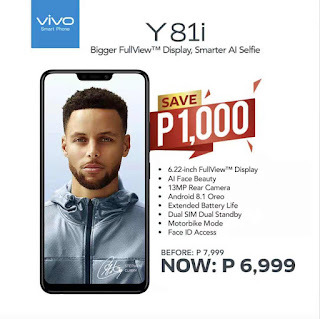 The new iPhone Xs series with its new A12 Bionic chipset and memory capacity of up to 512GB, empowers Philippine enterprises to create big, bold moves and move closer to going beyond business. 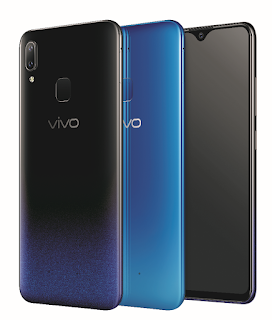 Globe Business customers can choose from three colors - New Gold, Silver, and Space Gray - and three storage capacities - 64GB, 256GB, and 512GB. In photo: Jacqueline Ang-Chai (Center), Assistant Vice President for Procurement of Petron Corporation avails an iPhone XS Max. Together with her are Globe Business Account Manager Robert Gerald Yao (left) and Globe Business Product Marketing Manager Romeo Gutierrez (right). 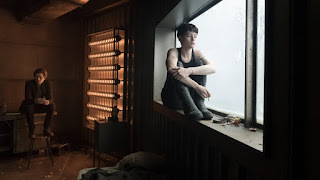 A New "Dragon Tattoo" Story Explodes in "The Girl in the Spider's Web"
Lisbeth Salander (Claire Foy) may not need the world, but the world needs Lisbeth Salander. The look. That tattoo. Those skills. That determination. The fierce vigilante star of Stieg Larsson’s massively popular Millennium trilogy of dark, twisty, vengeance-driven cyber-thrillers, and four acclaimed film adaptations, independent hacker Lisbeth Salander is everything we need in a modern hero: smart, resourceful, driven by demons but not defined by them, and possessing a me-against-the-universe attitude that has been more than enough to take down abusive men, hidden killers, and anyone foolish enough to go up against her. 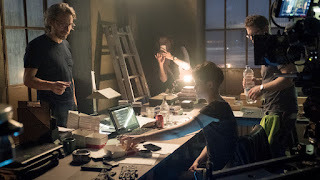 Now, in the blistering thriller The Girl in the Spider’s Web, fans will experience an all new Lisbeth Salander adventure that finds this misfit outsider – 21st century fiction’s most original and complicated warrior for justice -- in the middle of her most dangerous and personally revealing crusade yet. The sudden passing of OPM legend Rico J. Puno came as a major shock to many, and mourned his demise. 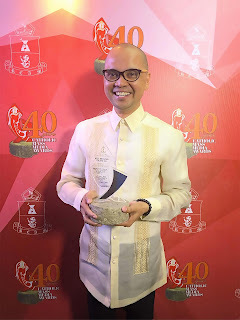 Puno, regarded as one of the prime movers of OPM, wowed and left us with a line up of popular national anthems such as his unque version of Barbra Streisand’s “The Way We Were," “Kapalaran,” “Buhat,” “Macho Gwapito,” “Lupa,” “May Bukas Pa,” “Ang Tao'y Marupok,” “Magkasuyo Buong Gabi” and "You and I." When singer Tosca Puno was asked about the concert of his father on November 23 at the Theatre at Solaire, she said, “I know my Papa will say - the show must go on!". 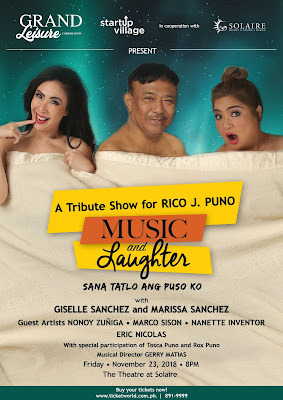 It was announced recently that “Music and Laughter: Sana Tatlo Ang Puso Ko with Giselle Sanchez and Marissa Sanchez, will push through to pay tribute to the Total Entertainer. 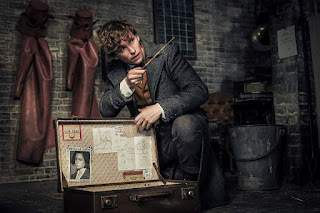 The continuation of J.K., Rowling’s Wizarding World, the movie picks up the end of first film wherein the powerful dark wizard Gellert Grindelwald (Johnny Depp) was captured by MACUSA (Magical Congress of the United States of America), with the help of Newt Scamander (Eddie Redmayne) during the Obscurus incident in New York. However, Grindelwald was able to escape and gathered followers to raise a Wizarding revolution that plans to rule over non-magical beings. 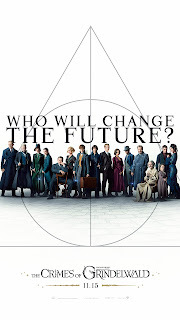 Albus Dumbledore (Jude Law) asked again the help of Newt to stop the uprising of Grindelwald. Can Newt stop the Dark Wizard and restore peace? Finding the freedom to love via film “Glorious"
Angel Aquino and Tony Labrusca take on the most daring roles in their careers as they play lovers in a May-December love affair in “Glorious”, an original movie produced by Dreamscape Digital for streaming exclusively inside the Philippines via iWant, ABS-CBN’s new content-on-demand digital app, and in most countries outside the Philippines via TFC Online (www.TFC.tv). The movie, which will be available starting November 17, has caught the imagination and piqued the interest of millions of netizens. 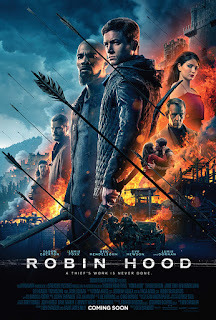 Memes abound on social media, as its full trailer has earned more than 16.9 million views.